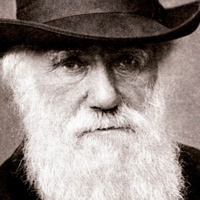 Due to snow, our Darwin Day event was rescheduled to Friday, Feb 22nd from 3-4pm in the 1st floor Rieke Lobby. Darwin Day honors scientific inquiry, persistence, and curiosity. Held every February 12th – marking the birth of Charles Darwin on that day in 1809 – universities and scientific communities around the world commemorate the impact of Darwin’s work, celebrate the interaction of scientific disciplines, and encourage and inspire everyone to get involved in science. The Biology Department will celebrate Darwin Day with science-themed food and events – we’d love to have you join us!